The Carolina Panthers were looking for a bit more speed in their offense. Greg Olsen is an excellent tight end, one of the best in the games. They have an excellent running back in Jonathan Stewart when he’s healthy. The problem is on the outside. Kelvin Benjamin and Devin Funchess are both big, hulking receivers who are excellent jump-ball targets, however, they aren’t exactly burners. The Panthers decided to user their first round pick on one of the most exciting players in all of College Football over the past couple of seasons in Stanford running back Christian McCaffrey, someone who give the Panthers offense a bit more speed and someone who can add a new element to the offense. 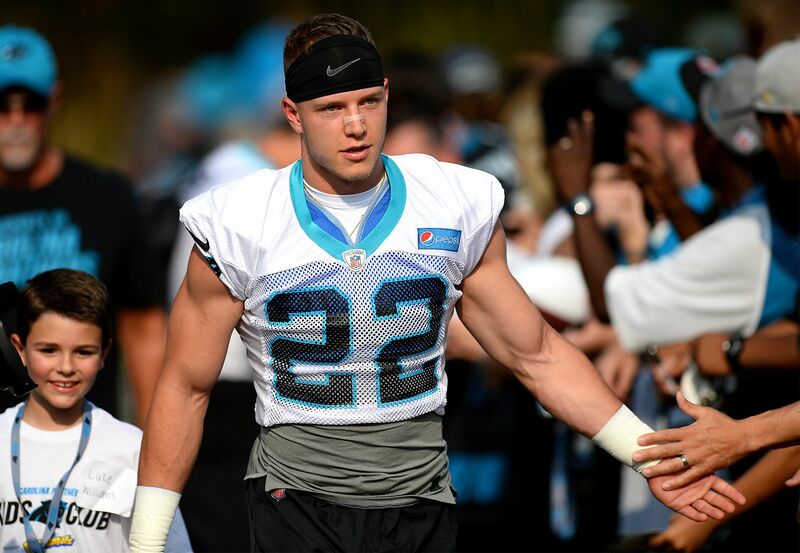 Even though they are just starting training camp, it appears that McCaffrey is already making his presence felt with the Panthers. In 11 games for Stanford last year, McCaffrey had 1,913 yards from scrimmage and 16 touchdowns. The season prior to that, McCaffrey had 2,664 yards from scrimmage and scored 13 touchdowns. Cam Newton really hasn’t had that dynamic playmaker that he can dump the ball off to and let them run after the catch. A lot of their big plays are on deep throws by Newton, so McCaffrey can give them a different look than they previously had. The Panthers were a Super Bowl team just two seasons ago. Newton is still there. Luke Kuechly is still there. If McCaffrey can be the dual threat that the Panthers think he is along with his teammates, the Panthers could again vault back into playoff contention.